A new, improved lift is to be installed at The Symington Building in Market Harborough. 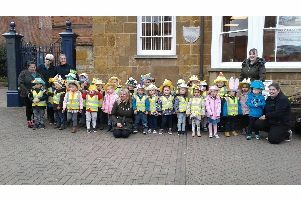 Harborough District Council, which owns the building in Adam and Eve Street, appointed a contractor to carry out the work at a meeting of its Executive committee on Monday. The new lift will replace the ageing central lift in the Grade II listed Victorian building. It will be bigger than the existing lift, and will improve accessibility for larger wheelchairs. Work on the lift begins in summer 2016.